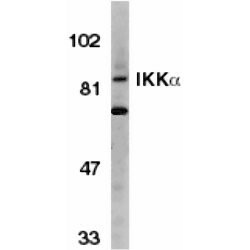 This antibody may replace item sc-130153 from Santa Cruz Biotechnology. 1. Woronicz, J.D. et al. (1997) I Kappa B kinase-beta: NF-kappa B activation and complex formation with I Kappa B kinase-alpha and NIK. Science 278: 866-9. 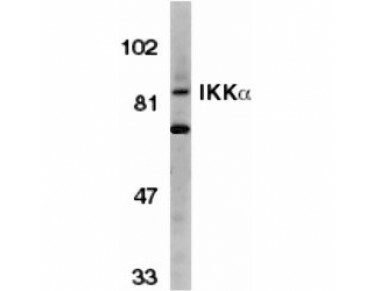 Antiserum Preparation: Antisera to human IKK Alpha (C3) were raised by repeated immunisation of rabbits with highly purified antigen. Purified IgG was prepared by affinity chromatography.